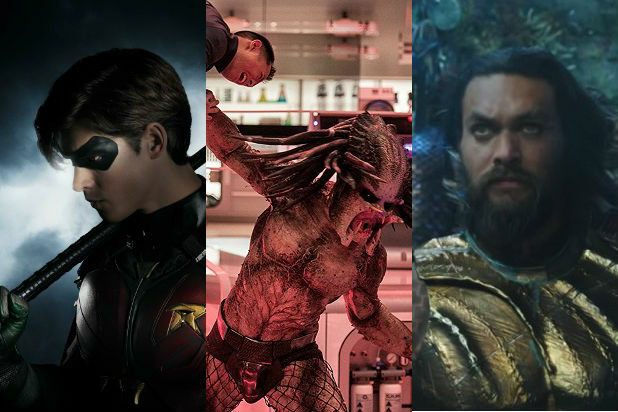 After a couple of rough years for major films based on DC Comics, Warner Bros. scored a Triple Crown on Saturday morning during its annual Hall H Comic-Con panel. 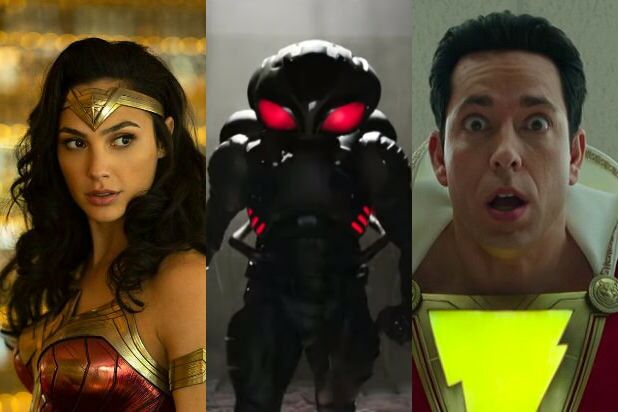 And if what we saw with the first looks at “Wonder Woman 1984,” “Shazam!” and “Aquaman” is any indication, DC is indeed now in good hands. Yes, the footage demonstrates that misfires like “Justice League” aside, Warner Bros. is still in the business of exploiting DC’s rich library of characters and concepts. But most notable was the public debut of a bright, eye-popping new aesthetic and optimistic tone that feels like a definitive, if not outright stated, setting-aside of the gloom and grit of the Zack Snyder era. Notable highlights? Wonder Woman’s lasso of truth as vibrant, neon gold, godlike power. The way she saves a little girl that leans hard on cuteness without hurting the action that follows. “Aquaman” demonstrating Jason Momoa’s comic timing might compare favorably to Marvel beefcake Chris Hemsworth. Black Manta, in our mind one of the coolest-looking supervillains in recent memory. And action-scenes that feel like “Aquaman” director James Wan is reminding us why he got this job in the first place. You can read about that footage — a first look at “Wonder Woman 1984” and some extremely cool “Aquaman” clips — here and here, but in brief: The “Wonder Woman” footage was charming, funny and cute, while the “Aquaman” footage planted its flag firmly in the “he’s actually cool” territory. The first Hall H of newly-installed President of Marketing Blair Rich (taking over for Sue Kroll, who stepped down in January) delivered the goods. And it likely gives newly-installed DC Chief Walter Hamada a lot more time to figure out what to do with Batman and Superman. Winning the Hall H crowd after the previous misfires was a tall order, but in the year where Marvel Studios sat out the big game, WB took the DC football in the end zone and scored three much-needed touchdowns. Now all the films have to do is deliver.